In order to keep your personal data safe, it’s important to use strong passwords consisting of at least eight characters that include numbers, letters, and sometimes special characters. Creating a strong password isn’t always easy, and remembering such long and complicated password can be even harder. While you might be familiar with 1Password Manager App to help your password woes, today we want to show you another password manager: Enpass. Using one strong password to access your email, bank account, and other online services is the main reason why people use different passwords for each online service. Remembering all these passwords is rather hard, though, and keeping all your passwords in one text file on your computer is not safe. Fortunately, the Enpass app can help you improve the safety of your passwords. 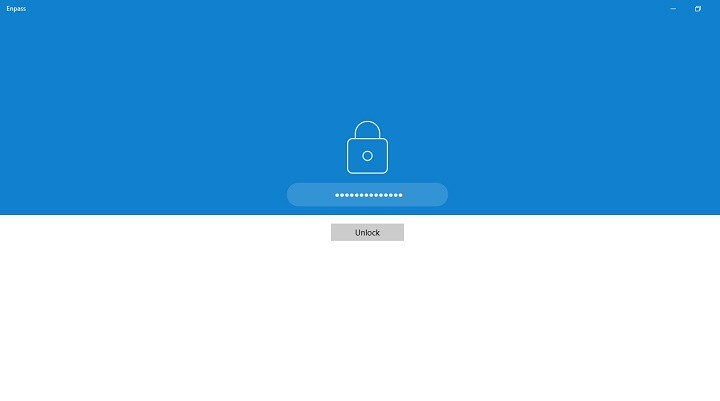 Enpass, a cross-platform password manager, was released for Windows 10 and Windows 10 Mobile as a Universal Windows App. Enpass will store all of your passwords on your hard drive, encrypting them using the SQLCipher engine and 256-bit AES encryption — you need to remember is your master password. Since creating secure passwords is hard, Enpass comes with its own password generator which you can use to create new passwords. The password creation process is straightforward, requiring you to move sliders in order to change the strength of your new password. As we previously mentioned, Enpass stores all of your passwords on your device but it can also store your passwords on any cloud service such as Dropbox, OneDrive, or Google Drive, and sync them across multiple devices. The Enpass password manager app sounds promising. You can download it from the Windows Store. While desktop version is free to use, it’s limited to storing only 20 passwords, but that limitation can be fixed with a one-time payment.